We Are Your Thermostat and HVAC Controls Contractor: Whether you have an existing system in need of repair or if you would like to upgrade your system with a new energy saving system, we have the knowledgeable technicians and staff to make the correct recommendations to fit your needs and your budget. Let All Climate be your controls contractor! We can help you save money though new energy saving controls. 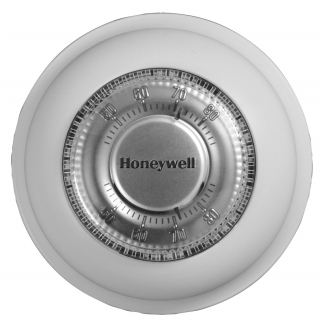 Honeywell T87K1007 Round Mercury Free Thermostat. If your building does not have an automatic carbon monoxide system, all the money you spend to heat your garage is lost outside, not to mention the increased maintenance required to operate the system continuously. The Round thermostats provide electronic control of 24Vac heating and cooling systems with the classic twist to set dial.